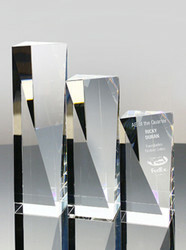 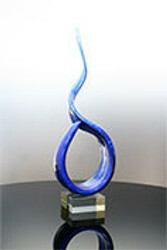 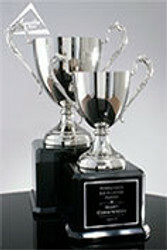 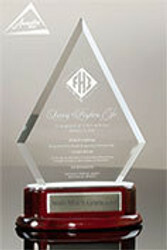 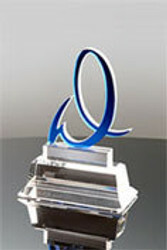 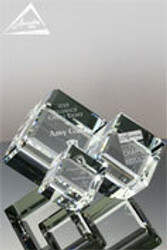 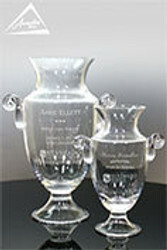 We have designed, produced, and engraved thousands of highly custom crystal awards for our business clients over the years. 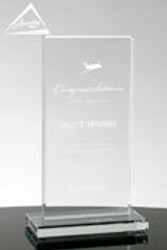 Below you will find a sample of highly custom crystal designs that we've created, manufactured, and engraved for a wide variety of client projects. 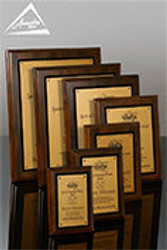 Use the menus to navigate to shop all our engravable award products and to see some of the other materials we utilize in our custom designs. 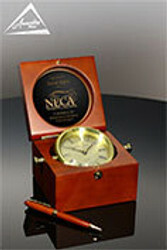 You can click on any photo to see a larger view of the item, and to request a quote. 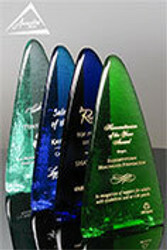 Or, call our design team with your ideas 800-753-3384.